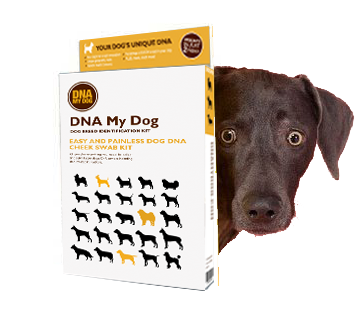 DNA My Dog: Fast, easy and completely painless. completely painless! only $68.99 - FREE SHIPPING! Every dog has its own unique DNA. DNA My Dog provides you with a kit and very simple instructions for swabbing the cheeks of your dog and collecting your dog's DNA samples. The test is easy, painless and takes under a minute. 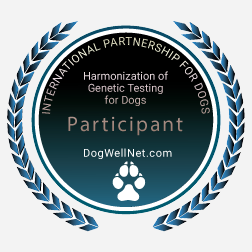 After we receive your samples, they are processed and run through DNA My Dog’s extensive database of certified dog breeds. 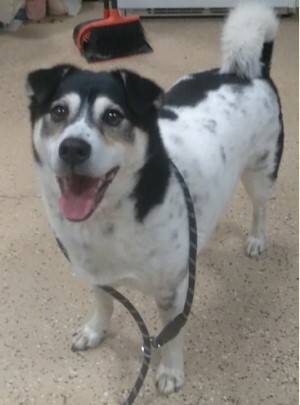 All DNA matches from the unique cheek cells of your dog are recorded and you get to discover the breeds found in your dog’s unique canine heritage. It’s that easy! After we get your DNA results we divide them up for you based on DNA matching tests. We provide you with percentages of the breeds found in your dog. Click here to order. Your purchase of DNA My Dog test kits have raised over $97,000 for Canine Rescue to date! Details and shelters in our North American Shelter program can be found here. This is Simon. Please select which breed you think he is. Click here to learn what each level means. Your results also include a personalized analysis of the breeds found in your dog from our database of the most popular common breeds. This handy reference has every level of all breeds found in your dog’s DNA genetic profile PLUS it lists the unique personality traits and genetic health concerns associated with each breed. Act today. Order your test and see the true heritage of your dog in about two weeks.